The Seabrook Partners’ team is comprised of professionals with backgrounds in investment banking, private equity and operations at entrepreneurial companies. Seabrook Partners’ focus on middle-market companies enables us to offer extensive senior attention to deal execution. Brian has been a co-founder and Managing Director at Seabrook Partners since January 2011. Prior to Seabrook Partners, he spent five years as a Managing Director and National Head of the Capital Strategies Group at Citigroup and then Morgan Stanley following the sale of Smith Barney by Citigroup to Morgan Stanley. The Capital Strategies Group provided M&A services to middle-market companies in the U.S. During the five years Brian ran the Group, it completed more than 110 transactions with aggregate value exceeding $3 billion. Prior to Citigroup, Brian was a co-founder and Managing Director of Claris Capital LLC, a FINRA-registered broker-dealer in McLean, VA. Claris Capital provided M&A and capital raising services to middle-market government services and technology companies in the Mid-Atlantic region. Before Claris Capital, Brian spent three years at Aether Systems, first as Executive Vice President, Corporate Development and later as President, Enterprise Solutions Division, Aether’s largest operating division. Brian was instrumental in transforming Aether from a 20-person private company with an annual revenue run rate of $1 million into one of the leading wireless data companies in the world with annual revenues in excess of $100 million. He was responsible for managing the company’s acquisitions, joint ventures and public equity and debt offerings. Previously, Brian was a Managing Director at Smith Barney in New York where he worked from 1988-1998. During his tenure at Smith Barney, he ran the firm’s East Coast technology group and technology mergers and acquisitions practice. Brian began his investment banking career at E.F. Hutton in 1986 and later worked for Robertson, Colman & Stephens in San Francisco. Matt is a co-founder of Seabrook Partners. He has nearly 20-years of investment banking experience working with established and emerging-growth companies in the technology, business services and government & defense sectors. Prior to Seabrook Partners, Matt served as a Vice President and Director at Morgan Stanley’s Capital Strategies Group and its predecessor, Citi Capital Strategies Group. The Capital Strategies Group provided M&A services to middle-market companies in the U.S. Prior to joining Citi, Matt worked at Claris Capital LLC, a boutique M&A advisory firm focused on the technology and business services sectors. Previously, Matt held investment banking positions at Cowen & Company in New York and San Francisco, and at Prudential Securities in New York. He began his investment banking career at Smith Barney in New York. Earlier in his career, Matt worked as a professional staff member on the U.S. Senate Small Business Committee and as a legislative aide to U.S. Senator Dianne Feinstein. Matt was recognized by M&A Advisor for his role on transactions awarded the Middle-Market M&A Deal of the Year and the Cross-Border Middle-Market Deal of the Year. He was also honored as a finalist for Investment Banker of the Year for the ACG National Capital region. 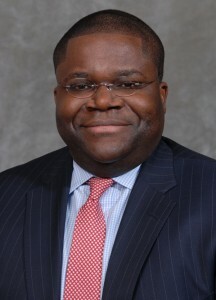 University of California, Los Angeles (UCLA); Anderson School of Management, M.B.A.
Frantz has been a Vice President at Seabrook Partners since 2013. He provides support at all stages of the transaction, including proposal development, financial modeling, due diligence, drafting and negotiations. He has extensive knowledge of financial analysis, accounting and valuation methodologies. Prior to Seabrook Partners, Frantz served as a Vice President at Morgan Stanley’s Capital Strategies Group and its predecessor, Citi Capital Strategies Group. The Capital Strategies Group provided M&amp;A services to middle-market companies in the U.S.
Frantz has executed transactions involving private and public companies in a broad variety of industries including business and industrial services, government services and IT, software, healthcare, transportation and logistics, and industrial manufacturing. His corporate finance experience includes mergers and acquisitions, private equity capital raising, ESOPs, financings and restructuring transactions. Frantz is a classically-trained trumpet player with several performances at The John F. Kennedy Center for the Performing Arts. He also founded the LeFrac Foundation, a nonprofit organization designed to improve the lives of disadvantaged youths through education in developing countries. Joe Tatum is a senior advisor at Seabrook Partners LLC. He is a trusted business advisor and demonstrated entrepreneur with over 18-years of experience in private equity investing, co-founding and operating startup companies. Previously Joe was managing director of ADMMicro, Inc., a software firm that designs and manufactures energy management and building controllers to small box retailer, restaurants, retail stores and convenience stores to monitor, control, and manage their facilities. Joe grew the national and international sales efforts at the company and later negotiated its sale to GridPoint, Inc., a firm funded by Goldman Sachs Merchant Banking and New Enterprise Associates (NEA). 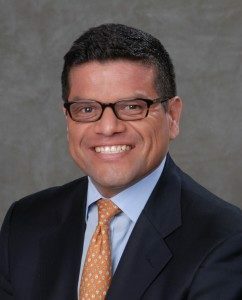 Joe currently serves as the CEO of SureFoot, LLC, a business advisory firm; founder of TradeWinds Capital; and co-founder of Silverback Innovations, Silverback Advanced Motor Monitoring and Silverback Investments. Throughout his career, Joe has founded or co-founded companies in a wide range of sectors, including capital investment, hospitality, communications, site management, research and development and business advisory services. Early in his career, Joe worked in senior level positions in the commercial banking sector. Joe Cawley is a senior advisor at Seabrook Partners LLC. Throughout his twenty-five year career, he has provided growth strategy, investment banking, and corporate development advisory services. Representative clients have included UHNW individuals, real estate developers, private equity, family office, sovereigns, REITS, hedge funds, and C-level executives and their Boards. He has had significant in-country operating experience throughout Europe, the MidEast and Asia. In life sciences and healthcare verticals, Joe has advised the entire growth cycle, from start-up to public offering. He has served both in operating roles and funding roles as Managing Director of an early stage tech fund. In IT, he has advised software and services firms on capital raises and M&A exit strategies generating dozens of transactions valued in the mid nine figures. Other vertical experience includes big data, predictive analytics, cyber security and counter corporate espionage. 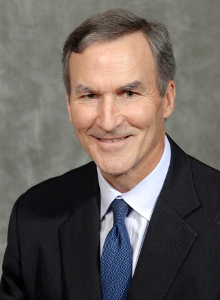 Early in his career, he advised on international technology transfer policy to the Department of the Navy; conducted foreign technology assessments for Los Alamos Labs, and served as technology policy liaison for several Executive Branch entities.